Help support Ohio Art League! Mark your calendars for next Tuesday, May 12, at 10 am. Join and support Ohio Art League by grabbing a bite to eat on Monday, May 11th at Dirty Franks. Come for lunch or dinner! The Columbus Food League has chosen Ohio Art League to be a Community Day Partner! 10% of food sales and $1 for every drink sold will be donated to the Ohio Art League! Dirty Frank’s West is a part of Columbus Food League (CFL), a family of six local, independent restaurants. 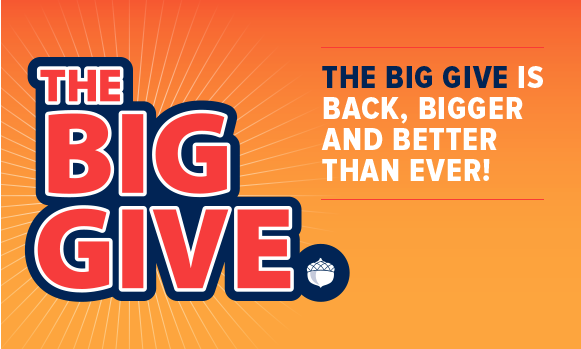 Every month, our restaurants each join with a Community Partner (CP) for a full day of food, fun, and fund raising.Again, your Community Partner Day will be Monday, May 11 . On this day, Dirty Frank’s West will donate $1 from every drink special sold and 10% of the days food sales to Ohio Art League. Come out and show your support! We appreciate all the support and donations from the Columbus community, members and patrons! See you all there! Join the event on Facebook and invite your friends! 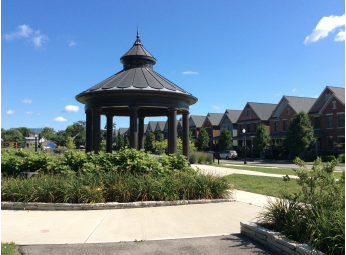 The Columbus Public Art Program, in partnership with the Harrison West Society is going to commission a professional artist to design and install a fifth site-specific public artwork in Harrison Park. Qualifications are sought from professional visual artists who live or work in the state of Ohio. An Artist Advisory Panel will select three artist finalists to prepare proposals. Artist finalists will each receive a proposal fee of $750 to prepare and present a site specific public art proposal at a community event hosted by the Harrison West Society. The art will be selected through a community voting process. The selected proposal will be forwarded to the Columbus Art Commission for conceptual design and placement approval. 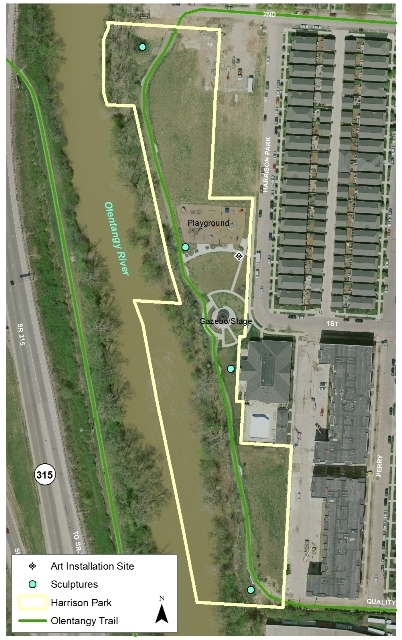 The Columbus Recreation and Parks Department will also review the proposal for acceptance into Harrison Park. The artist will have a $90,000 all-inclusive budget as well as a 10% contingency set aside. All contracts will be held by the City of Columbus and artists receiving payments will be required to register with city Vendor Services. All materials but be received by 4pm, January 15, 2015. It’s that time of the year! The leaves are changing colors, time for cider and holiday candle scents, and sweater weather! Thumb Box Submission are OPEN!! Thumb Box is our annual small works exhibition that has continued annually since 1916 during the month of December and exhibits works 6 x 6 x 6″ or smaller by our talented members. Members are encouraged to submit up to three 2-D or 3-D works for inclusion in the show! This years exhibition will be hosted at R.A.W. Gallery owed by member George Leach. Keep an eye out on the website for updates! Don’t forget that you need to log in, in the top right corner to submit as a member! Don’t procrastinate! Those of you that attended One Night: Tribute this past Friday know how AWESOME it was, and we here at the Ohio Art League would like to take a moment to thank all of the attendees, members, artists, volunteers, board members, and of course our sponsors for the event. 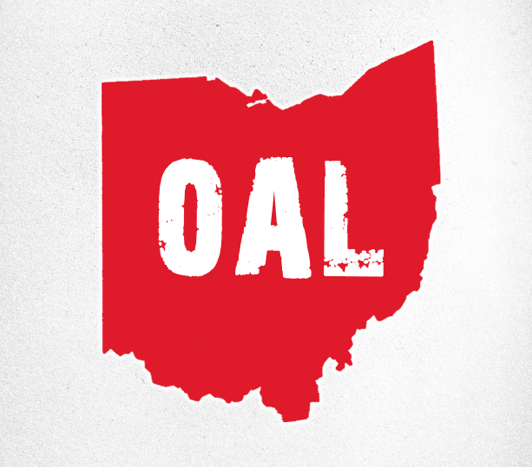 This year’s theme, Tribute, allowed us to recover past archives and research the foundation of OAL in order to honor all of you that have built this organization into one that emphasizes, appreciates, and preserves local visual arts. The past 100+ years have given us a blueprint on what to keep doing, what to improve, and how to better help our members and the unique art they create. We are eternally grateful for our dedicated and generous sponsors. In addition to the Ohio Art League’s continuous sponsors, we would like to thank those that contributed to One Night, as well as throughout the remaining year. Without you guys, we wouldn’t be where we are today. And we could never forget The Columbus Foundation, Greater Columbus Arts Council, Ohio Arts Council, and Ingram White Castle Foundation. 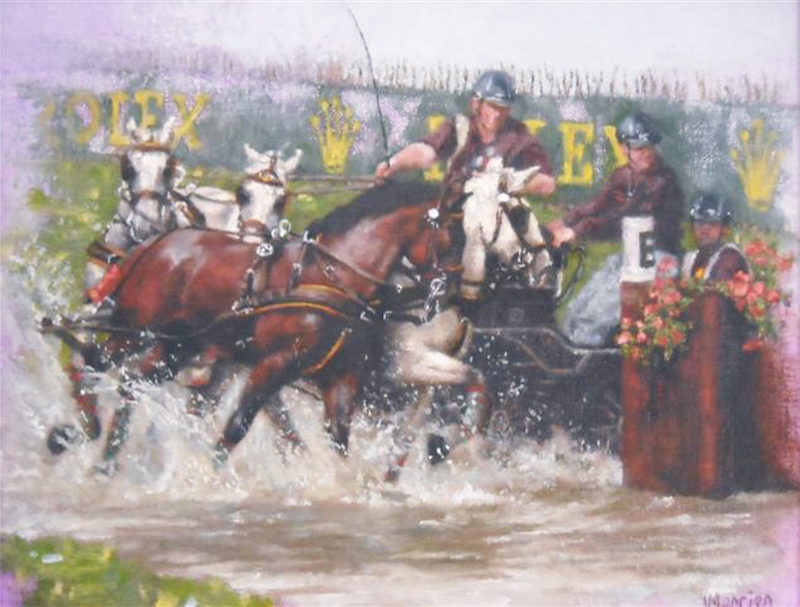 We take great pride in our members’ works and their contributions to our long-standing organization enable the OAL to be a top contender in the Ohio art world. We do our very best to bring artists exhibition opportunities, offer promotions for their work, and keep members updated on any event or what-have-you to progress their artistic career. Thanks to all of those who helped make One Night 2014 a success, and we’re looking at another bright hundred years. Our appreciation is boundless. *Lea Gray paper flower arrangements are still available for sale. For those interested, please contact the Ohio Art League at (614) 299-8225. Rosalind Mercier & Nicole Strouss works in One Night Live Auction! That being said, we’d like to take a moment to acknowledge Rosalind M. Mercier and Nicole Strouss and give them both electronic high-fives for donating work to our One Night Live Auction! All the works in the Live Auction, including the two displayed below, will be available for purchase the night of the event, October 10! Get your tickets here! Nicki Strouss enjoys creating both functional and sculptural work and continues to work with local artists and various other learning institutions and teaches ceramics and yoga. Her vessels reference figures and endless possibility. Her preferred mediums used include high fire clay, wool, paper, wax, and any number of other household implements to create a rich surface that is best experienced when held in hand. The textures and earthy colors apparent in her work illicit a response from viewers that attribute to an infinite imagination. 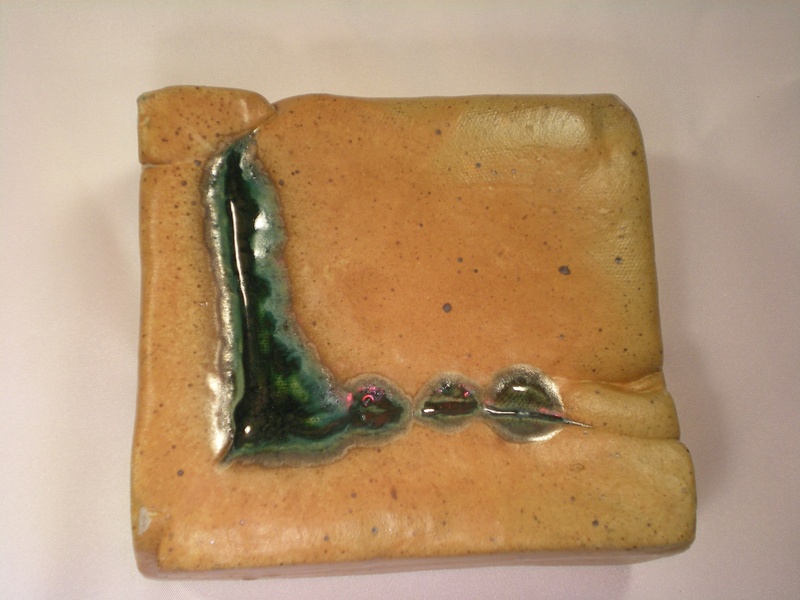 Check out one of her works, Green Tile, that will appear in the Young Collectors Series of the Auction at One Night. Rosalind M. Mercier is a graduate of Columbus School for Girls and The Ohio State University. Her first career was as a union makeup artist for films & television in Hollywood, followed by the BBC in London, England. Mercier left to pursue portraiture, following in the footsteps of her great-grandfather, a well-known British portrait artist. She specializes in both people & animals and has a painting in the private collection of Prince Charles’ wife, Camilla, HRH The Duchess of Cornwall. You can see Oncourse firsthand below! For those of you members who have yet to submit, you’ve got until midnight Monday!!!! Deadline for submission is 11:59 pm October 6. Our members are up for bids! Well, their artwork is, anyway. Join us at One Night for the Live Auction in which you may purchase some of our members’ donated works! We’ll be posting various works of art that will be up for grabs next Friday at the event, so you can get a first hand glimpse. One of the founding members of Glass Axis and 20-year-veteran of the Ohio Art League, Andy Hudson is a retired OSU Medical Educator, an artist, art collector and glassblower. 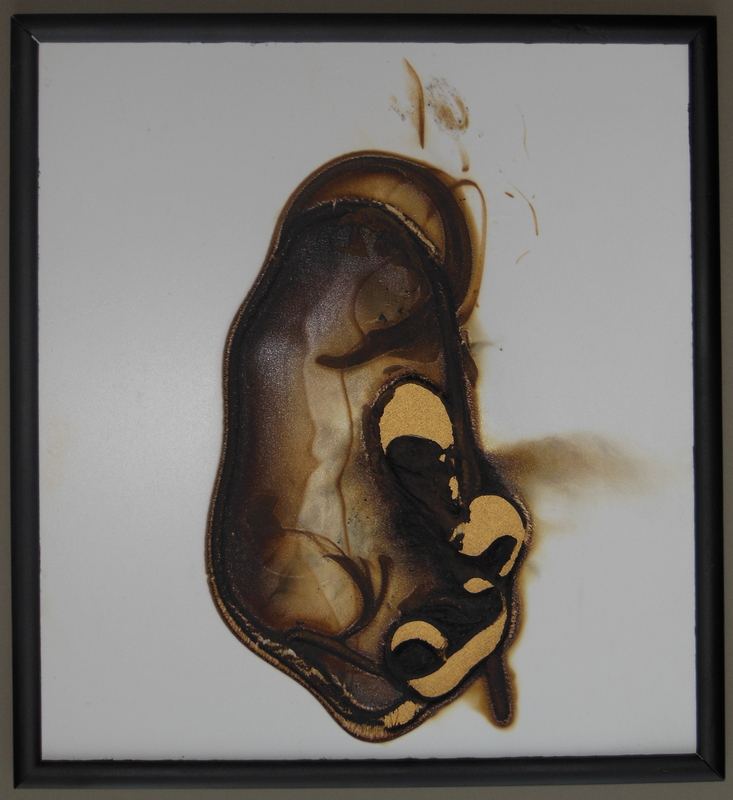 As we’re sure you’ve seen his work around (and out of) town, now is your chance to own one of his one-of-a-kind fire drawings like Saroon featured below! OAL member-artist and COSI‘s own Erica Gilbert paints mostly landscapes of places she has traveled and is inspired by light and color in nature. She has an M.Ed. in Early Childhood Education and a studio art minor. Let her soft, nature-inspired works breathe life into your home and bid on her works at One Night! 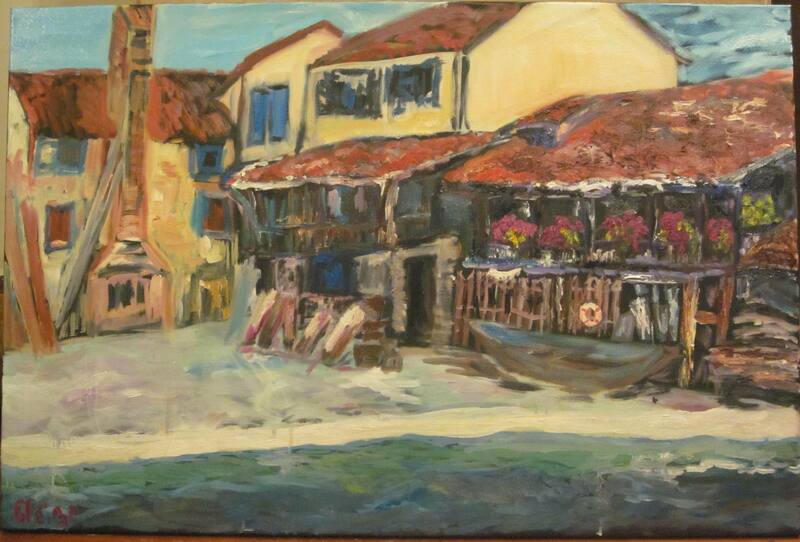 Check out her oil painting Venice as seen below! These two marvels, as well as many others, are available for purchase at our annual fundraising event, One Night. Get your tickets today, and stay up-to-date with our progress on Facebook, Twitter, or our homepage. Have business cards, fliers, or gallery exhibition cards on hand? Drop a handful at our gallery space so we can represent you as well! Our patrons would love to learn more about our member artists and local art opportunities. Start the new year off right by checking out some of these great experiences our members are involved with! For more information about new opportunities and upcoming events, visit The Ohio Art League.